Last night I went to a girls only Game Night. We played several games, chatted, drank wine and green tea, ate, and generally caught up on life and laughs. While playing a trivia game, we were all shocked to find out the answer was “The Bible.” The question? “What is the most shoplifted book?” Being that the topic was “Irony” maybe the answer wasn’t so surprising, but in a way it still was. Most of the time “The Bible” is the answer to questions such as “What book has most influenced your life?” NOT what’s been shoplifted! The Holy Bible is a very unique book. Whether you read it or not, you’ve heard about it and can probably even quote it. Have you ever said “Just turn the other cheek?” You just quoted the Bible! Those words, and all the words that make up the Bible, weren’t penned overnight. They were scribed over a period of some 1500 years by what is believed to be more than 40 generations and 40 authors. Those authors weren’t necessarily scholars or royalty either. Yes, there were poets and kings among them, but many a fisherman, shepherd, and peasant are amongst the inspired scripture authors. As a Catholic, I grew up in a home where a large gold-edged, red leather-bound Bible sat boxed on a coffee table in our living room. It’s almost like it was meant to be adored not read. Fast forward many years and I find myself in a Bible study and have been in one for going on 20+ years. Some of the members remain the same, some are new. I love that about it though. It’s the perfect combination of old wisdom and new blood. I love that. The Bible is a love letter from God. I also love my personal Bible. As you can see in the photo above, it is tabbed, highlighted, and marked up. It’s also totally falling apart. I’ve researched companies that can rebind it, but that’s proven to be a search for a miracle. No luck yet. I remember talking about its tattered state in a Bible study some years ago and one of the members said, “Carla, that is the Bible your daughter will someday have and she will cherish its torn pages forever.” Chills. 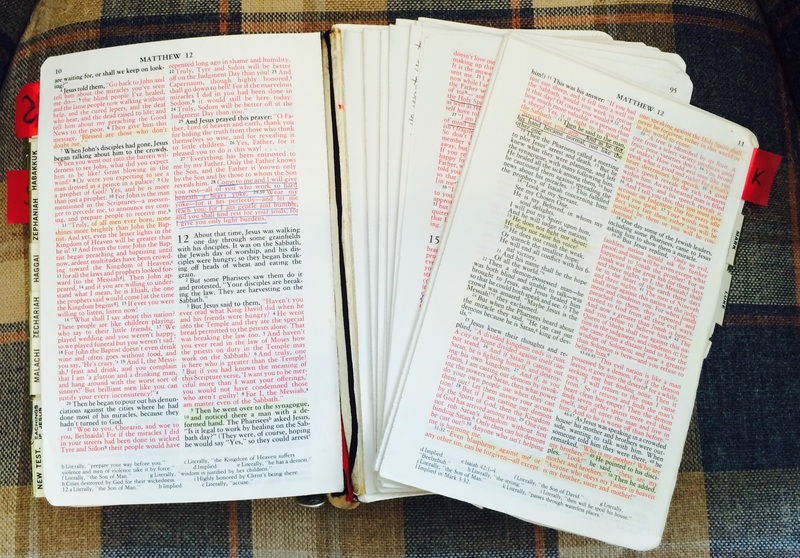 Different Bible for Different Folks? What’s interesting, is that as read and referred to as it is, Catholics and Protestants use two different versions. 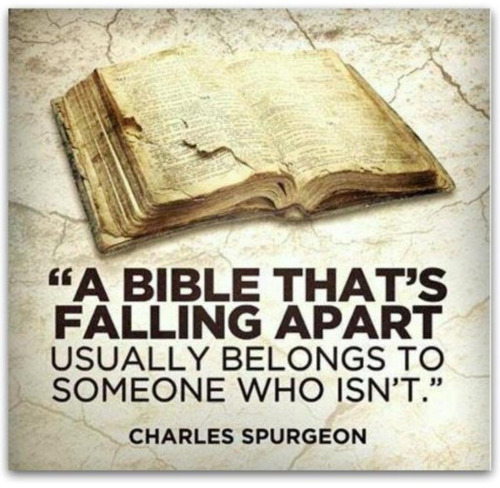 Protestant Bibles have 66 books while a Catholic one has 73. Although they share the same New Testament, the Old Testament in a Catholic Bible includes seven books not found in a Protestant version. The reasons vary but in a nutshell, the final list was approved by Pope Damasus I in 382 AD and formally adopted by Rome. But, in the 16th Century Martin Luther threw seven of the books out. Interestingly, Luther also wanted to get rid of several New Testament books, including James and Revelation, but he eventually accepted today’s 27 books. Over time, scripture has been authored and handed down and as time went on, the Catholic Church compiled books to form a Canon, an authoritative set of Sacred Scripture. When they did, they included the seven “deuterocanonical books” of Tobit, Judith, Wisdom, Sirach, Baruch, Maccabees I and II, and Esther, which can’t be found in a Protestant Bible. Interestingly enough, these books were also written in Greek rather than Hebrew, which is another reason Protestants decided they shouldn’t be included. Rather than become cynical or skeptical about the differences though, it’s important to keep in mind that God never actually handed down a book and said “Here it is, in its entirety.” Instead, accept the differences and live the word of both. I’ve always loved St. Francis, his “Peace Prayer,” his love of animals, and I love that quote of his. Francis, in all his wisdom, is basically telling us to walk the walk not just talk the talk. We are to live the gospel through our actions, not just read it and repeat it. I think we all struggle with that. I know I do. I am by no means a Bible expert or perfect Christian. I don’t know scripture by heart and much of the Old Testament can still confuse me. Still, it’s something I strive to learn more about and learn better. It’s been said that reading the Bible but not living it out or acting on it is like looking in the mirror and not fixing what’s wrong. If you see your hair is sticking up, you brush it. If you see something in your teeth, you brush them. In the same way, it’s a good idea to brush up on what God’s word tells us and instructs us to do and not do. It is the best- selling book of all time, having sold upwards of 10 million copies in more than 2000 languages and dialects. If read out loud, the Bible would take approximately 70 hours to finish. The first five books of the Bible were written by Moses and are called the Pentateuch. The word “God” appears more than 3,300 times in the Bible. The word “Christian” appears three times. 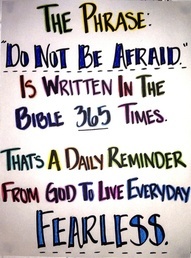 The Apostle Paul wrote 14 books of the New Testament; more than half of it. The Old Testament was written in Hebrew and the New Testament was written in Greek. Coincidence? I don’t think so! As the Bible itself says in Luke 18:27,“Things that are impossible with men are possible with God.” Am pretty sure He knew what He was doing on this one. Maybe we should just trust Him. You got my attention on this one…thanks!